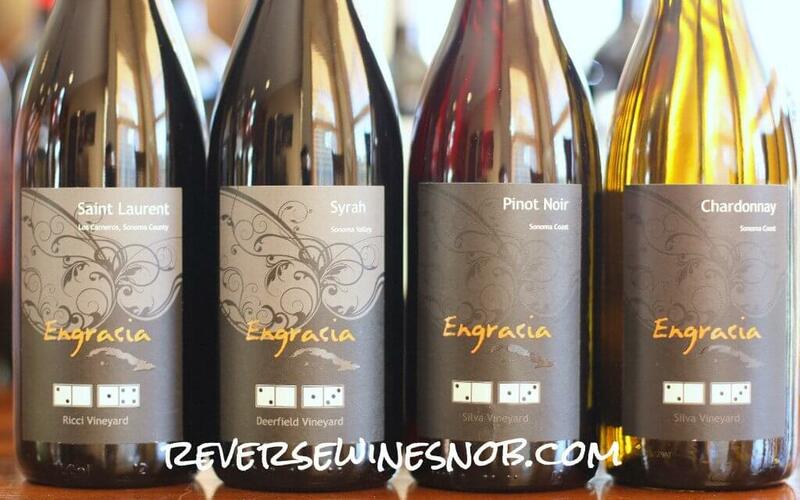 A one week exclusive deal only available through Reverse Wine Snob on four excellent Engracia Wines! 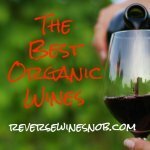 While we normally just review wine here at Reverse Wine Snob today we’re back with our second ever flash sale packaging together a special group of wines at a discounted price, just for our readers! In our continuing effort to help you find the best wines at the lowest possible prices, we’ve teamed up with Engracia Wines and Vinoshipper to bring you this special deal, only available until Tuesday 6/6/2017. You can only take part in this deal by using the Buy button below and adding the wine to your cart. (If you’re reading this via email you’ll need to click through to the site in order to take part.) 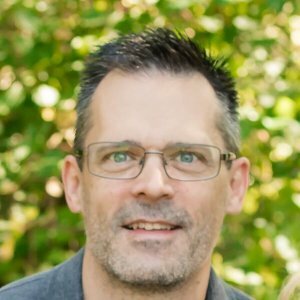 After adding the wine to your cart and clicking on checkout you’ll be taken to Vinoshipper.com, the retailer of record, to complete the sale. We’re super excited about this deal, not just because of the huge discount — each of these wines normally retails for $35 each, but with this exclusive deal you can get them for just $20 a bottle — but also because it allows us to introduce to you wines that you simply won’t find at your local retailer where the shelves are dominated by the big mass production brands. Sometimes smaller really is better. 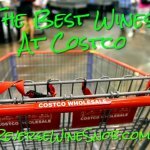 Of course, we wouldn’t just throw this deal out there unless we could personally vouch for it, so read on for our review of each wine! 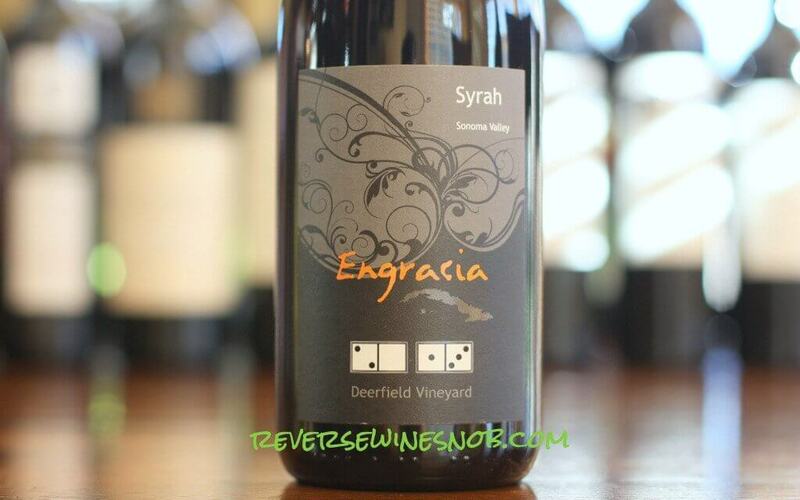 First up is the 2013 Engracia Wines Deerfield Syrah from the Deerfield Ranch Winery’s Estate Vineyard in the Sonoma Valley. 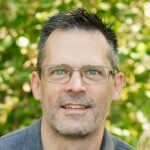 The wine is 100% Syrah, organically grown, and spends 28 months in neutral French oak. Only 98 cases of this beauty were produced. 14.6% Alcohol. This is simply a stunning wine! We’re huge fans of Syrah and so we tend to set the bar high when reviewing this variety but the Deerfield Syrah hits all the right notes. It opens with a big, brilliant aroma of plum, lots of dark fruit, licorice, a little earth and some smoked meat notes. 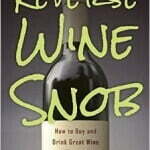 The wine tastes smooth and delicious when tasting with plenty of dark fruit, licorice and cola. Touches of vanilla and pepper lead into the tart fruit and earth filled finish. Absolutely splurge-worthy at $35, this is a killer deal at just $20. Grab it while you can. 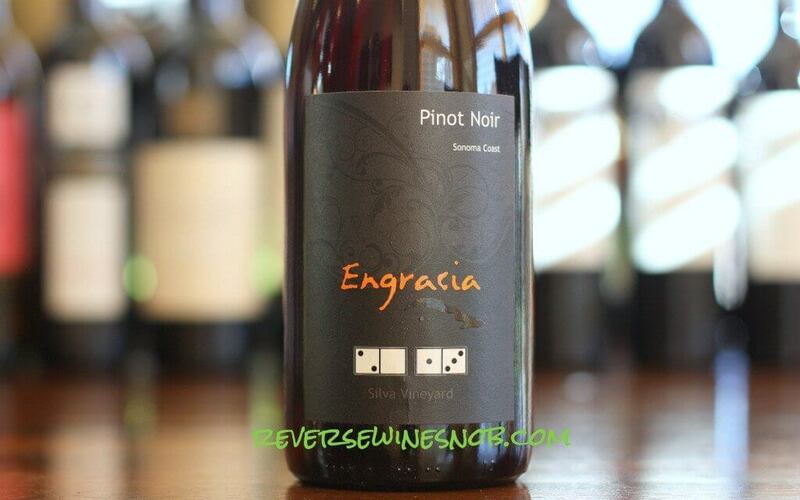 Next up is the 2013 Engracia Wines Silva Vineyard Pinot Noir from the Sonoma Coast. 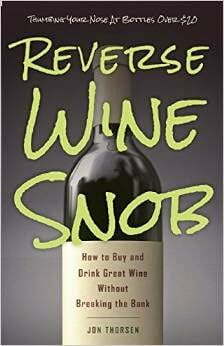 The wine is 100% Pinot Noir, whole berry fermented, and spends 18 months in 2 year used and neutral French oak barrels. Just 160 cases produced. 12.1% Alcohol. 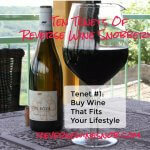 Pinot Noir lovers rejoice, you will love this wine! It opens with a pleasing aroma of cherry, strawberry and cranberry along with hints of earth. Taking a sip reveals a smooth, soft and absolutely delicious wine that has a simply amazing mouthfeel that is almost comforting to your tongue. Cherry, cola, a little red licorice and earth leads the way when tasting this light-bodied wine with the cola notes coming to forefront on the mid-palate and leading into the long, dry and very satisfying finish. This is a wine to savor! 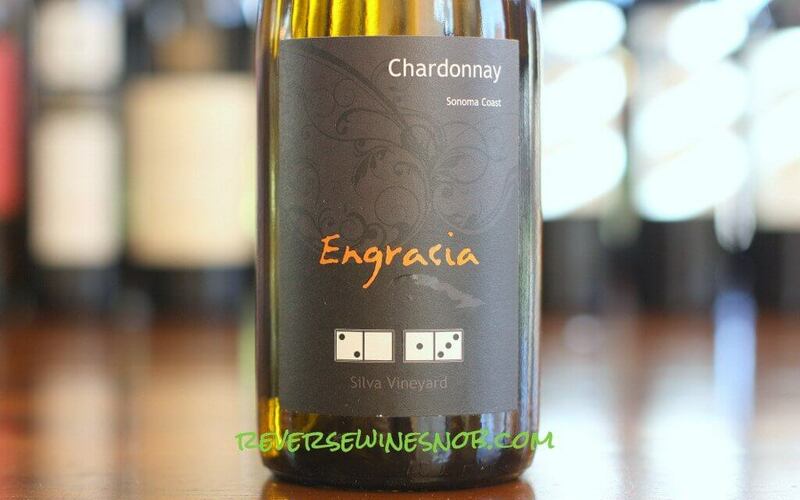 Our third pick is the 2013 Engracia Wines Silva Vineyard Chardonnay, from the same vineyard as the Pinot Noir. This is 100% Chardonnay that does not undergo malolactic fermentation but does spend 17 months in neutral French oak, making for a rather unique combination. Only 128 cases produced. 13.1% Alcohol. 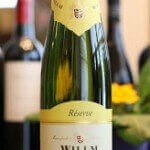 This is a lovely Chardonnay that opens with an enticing aroma of lemon custard, apples, pears and touches of caramel. The wine tastes smooth with a nice round mouthfeel and is full of wonderful fruit flavors similar to the nose with some tropical touches. It’s got great fruit without all the buttery notes from malolactic fermentation yet still has some nice added flavors, like touches of creme brulee, from the time spent in oak. It’s a fantastic balance that you don’t always find in Chardonnay. You won’t want to let a chance to taste this wine pass you by. 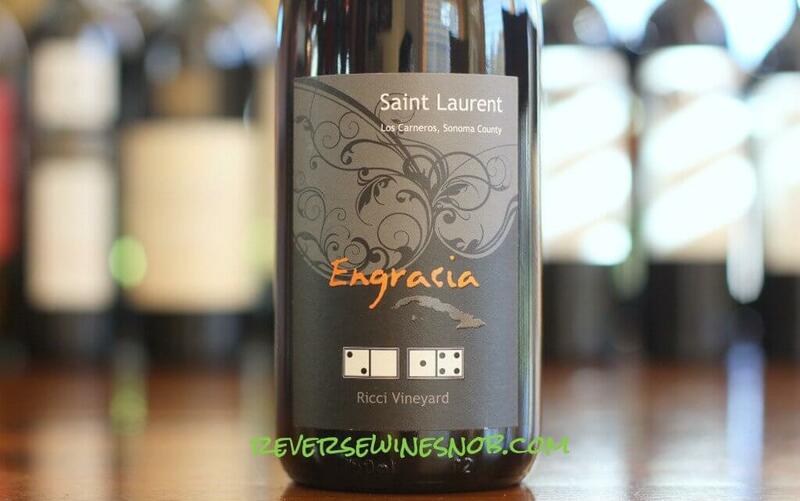 Last, but certainly not least, is the most unique wine of the bunch, the 2014 Engracia Wines Ricci Vineyard Saint Laurent from the Carneros AVA in Sonoma. This wine is 86% Saint Laurent, a variety normally found in Austria, Czech Republic and Germany, and 14% Grenache. In fact, the only other wine made from Saint (or St) Laurent we’ve reviewed was from Austria and we described the variety as “Pinot Noir’s deep, dark and savory love child”. The variety is an offspring of Pinot Noir and another unknown red grape and is also a parent to Zweigelt. Today’s example is one of the few you’ll find here in the U.S. and spends 27 months in neutral French oak. 2014 is the first vintage of this bottling and only 106 cases were produced. 12.5% Alcohol. The Saint Laurent opens with a very pleasing aroma of black cherry, plum, cranberry, spice and vanilla. It tastes soft and almost Pinot Noir like in the mouth with tarter fruit, some good oaky spice and red licorice. With good acidity and a dry, quite long finish featuring lingering notes of blood orange, cranberry and black cherry this is quite an intriguing and delicious wine. Don’t miss this rare chance to taste this unique variety! We hope you will enjoy these wines as much as we did but to take part in this deal you’ll need to act fast! 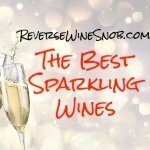 These discounts are only available until Tuesday 6/6/2017, and only through Reverse Wine Snob. Cheers!